This 70-742: Identity in Windows Server 2016 course teaches IT professionals on the deployment, configuration and troubleshooting of identity services such as Active Directory Domain Services (AD DS) and Group Policy in Windows Server 2016. Additionally, this course also covers the deployment and installation of other Active Directory server roles, such as Active Directory Federation Services (AD FS) and Active Directory Certificate Services (AD CS). 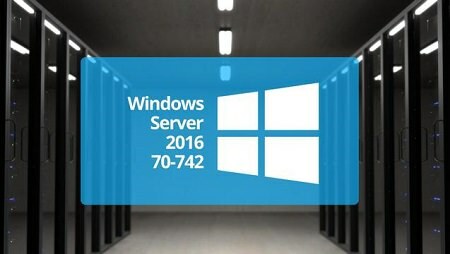 The course 70-742: Identity in Windows Server 2016 is part of a three course series required to pass the MCSA: Windows Server 2016 certification. The course curriculum is designed keeping in view the exam topics covered in the Microsoft exam 70-742. In this way, this course is equally helpful for IT professionals looking to gain their knowledge as well as the candidates willing to appear in the said exam.